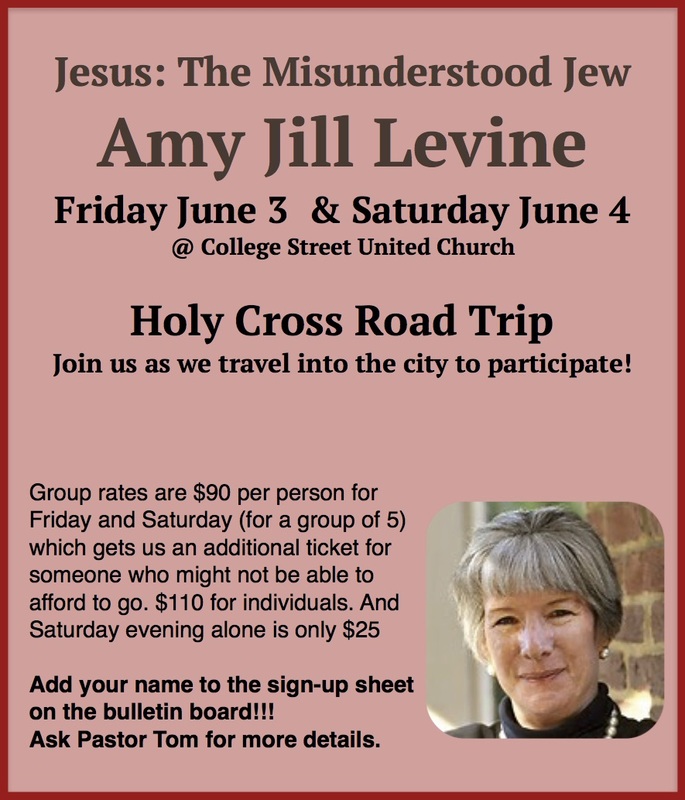 If you haven’t had an opportunity to learn from Amy-Jill Levine, don’t miss this opportunity!!! I have travelled far and wide to listen to Professor Levine and she has never failed to open the New Testament in ways that have changed my view of Jesus “The Misunderstood Jew”. Her book “short stories by Jesus” is my go-to for insights into the parables of Jesus. This year our congregation has benefited greatly from “The Jewish Annotated New Testament” edited by Amy-Jill Levine and Marc Zvi Brettler. Jewish New Testament scholars are a rare breed and Amy-Jill Levine is powerfully articulate in her approach to the teachings of the Jewish rabbi that we Christians long to follow. Members of Holy Cross: be sure to sign-up for the road trip we will be taking into the city to be a part of this event!!! For those who will be anywhere near Toronto, follow this link for details. In the meantime allow this video to whet your appetite. This entry was posted in Adult Education, Bible Study, Home, Progressive Theology and tagged Amy-Jill Levine, New Testament History, progressive christianity, progressive theology, religion by Rev. Dawn Hutchings. Bookmark the permalink.